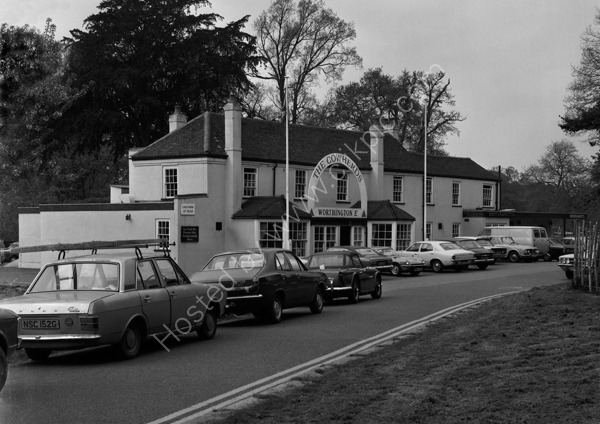 The Cowherds public house on the Common, Southampton around 1974 and featuring many cars from those years. The nearest car to the camera was a Cortina registration NSC 152G and two cars in front of that is a Triumph TR4a. For commercial use of this photograph please visit www.alamy.com and search for E8BDDR but for a one off print, please see below.